The only thing more important than being an informed voter is being a prepared one. November 8 is swiftly approaching, and it’s time to make like Joe Biden and formulate an Election Day strategy. Still figuring out how to cast your ballot next week? 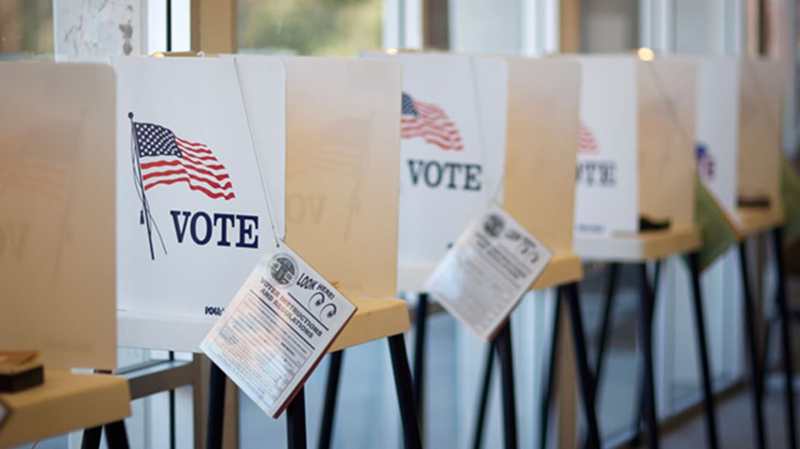 Here’s a quick checklist of ways you can prepare to do your civic duty. - Make sure you're registered to vote. While the deadline to register has already passed in most places, some states allow residents to register until November 8. If you live in Wyoming, New Hampshire, Colorado, Wisconsin, Maine, or Washington, D.C, you can register in person at your state or local election office up until Election Day. And in North Dakota, you don't need to register at all. Other allowances and exceptions vary by state, so head to your local election board's website if you're unsure. - Look up your polling place and know how you’re going to get there. Rock the Vote has a "find my polling place" feature, lists the hours your location is open, and provides you with a Google map for finding your way. - Vote early. If you’re going to be away on November 8, see if your state allows early voting (Rock the Vote compiled a list) or visit Vote.org to learn more about absentee voting. - Get familiar with your state's ballot. Facebook has a new feature that allows you to view your local ballot so you can research candidates and measures in advance. It also allows you to email your filled-out ballot to yourself so you can print it and take it with you to use as a cheat sheet when you vote. - Know if you need an ID. Some states require one, others don't—and the rules change every year. If you're not sure, Vote.org compiled a handy list of up-to-date information on voter ID laws. One last note: We know you want to tell the world you voted, but once you've finally made it to the polls, think twice about taking a selfie in a voting booth. That's illegal in 18 states—and for that matter, other voters might feel weird about making a cameo on your Instagram feed. To be on the safe side, leave your smartphone in your pocket or purse until you've reached the parking lot. Then, smile wide and show off that "I Voted" sticker!